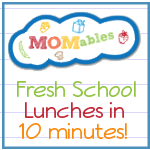 Biting The Hand That Feeds You: MOMables Monday - Using Frozen Rice for Lunch! 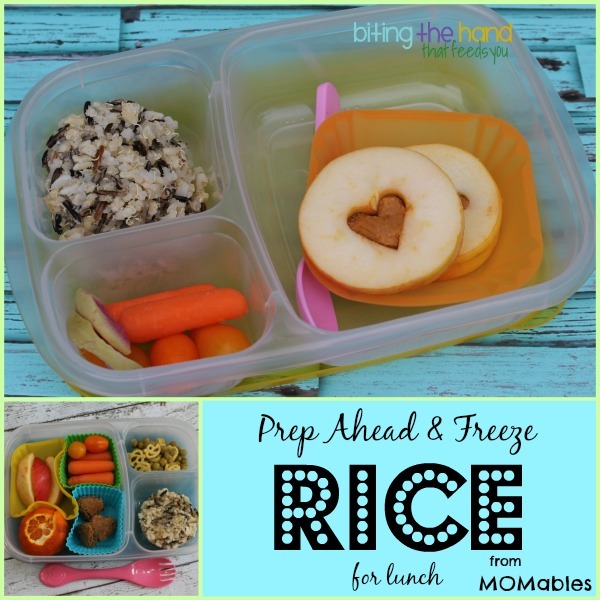 MOMables Monday - Using Frozen Rice for Lunch! 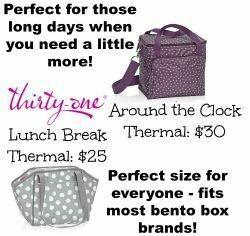 I regularly cook up a large batch of rice to freeze and have on-hand for quick and easy dinner options, and occasionally for lunch! 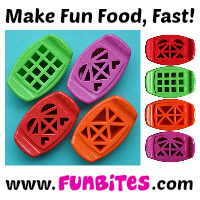 Check out the post I wrote for the MOMables blog on how to freeze cooked rice! 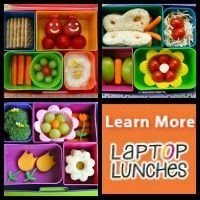 The MOMables lunch menu subscription and blog have loads of prep-ahead ideas to make your life easier, including some I wrote on freezing sandwiches, freezing cooked pasta, and freezing vegetable puree. 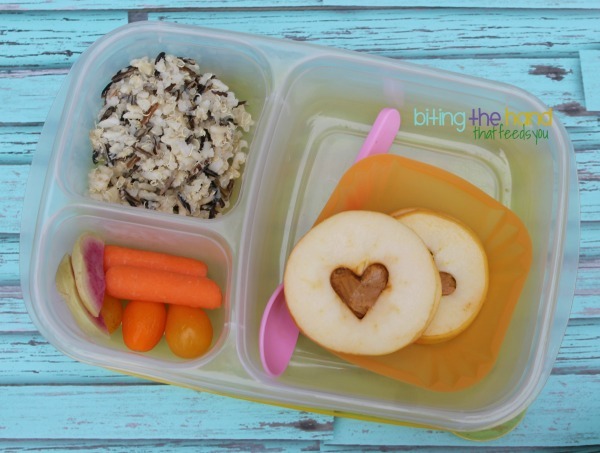 Thursday, 1/30/14 - I used some heart cut-out apple slices from the MOMables Real Foods Valentine's Treats and added some peanut butter to make some yummy gluten-free sandwiches for the toddler. To add grains to make up for the lack of bread (not that she eats much bread...) I included a puck of frozen rice the night before and let it thaw. Worked great! She loved it! 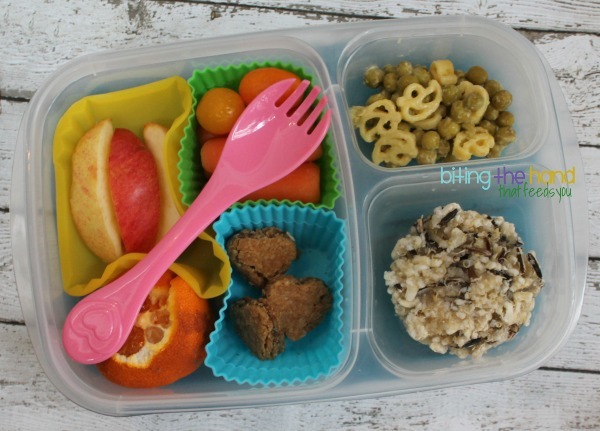 Friday, 1/31/14 - I had some dairy-free cheesy "Quackaroni" and Peas left over, so fed it to the toddler, along with some Van's PBJ Bars heart-shaped bites left from one of Big Sister's lunches. The apples and carrots and orange were probably left over from some of Big Sister's lunches or snacks too.